KUALA LUMPUR - The MACC found evidence in late 2015 that RM42mil (S$14.2 million) was transferred from a former subsidiary of 1MDB into an account of former prime minister Datuk Seri Najib Tun Razak, says a member of the panel that reviewed the case files. 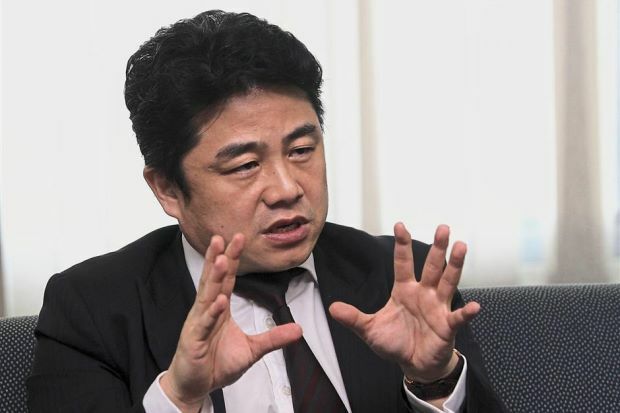 However, the Malaysian Anti-Corruption Commission’s recommendation for further investigation was rejected by the Attorney-General, panel member Datuk Lim Chee Wee told Reuters. Prime Minister Tun Dr Mahathir Mohamad has vowed to investigate 1MDB and take action against those who may have abetted or benefited from corruption at the state fund. At least six countries, including the United States and Switzerland, are investigating claims that RM17bil was siphoned off from 1MDB. Lim said Attorney-General Tan Sri Mohamed Apandi Ali was presented with evidence by MACC at the end of 2015 that Najib received RM42mil from 1MDB unit SRC International. Apandi declined to probe further, Lim claimed. Lim and another panel member, Assoc Prof Dr P. Sundramoorthy, a criminologist from Universiti Sains Malaysia, also said Apandi declined repeated requests from MACC to seek legal assistance from foreign governments to trace missing funds from 1MDB. Lim said they were unable to follow the money trail because it went outside the country. “We kept telling the A-G ... please request mutual legal assistance from other jurisdictions to follow the money trail in those jurisdictions. “We knew the movement of money in Malaysia, but once it left Malaysia, we didn’t know where the money went,” Lim said. Apandi declined to comment when contacted while the MACC did not respond to Reuters’ requests for comment. Neither Najib nor his spokesman could be reached by phone to comment while 1MDB did not respond to a request for comment. Lim, a lawyer, was part of an eight-member panel tasked in 2016 with reviewing MACC investigations into a reported transfer of RM2.6bil into Najib’s bank account, as well as the transactions linked to SRC. MACC appoints such panels when its recommendations have been rejected by the A-G as part of a review process. Both Lim and Dr Sundramoorthy declined to go into specific details regarding the case files, as the documents are protected under the Official Secrets Act. But the panel was given detailed briefings and full access to the MACC files, they said. “The biggest disappointment to us was Apandi,” said Lim. “MACC was very professional, they did a very good job. But their hands were tied,” he said.